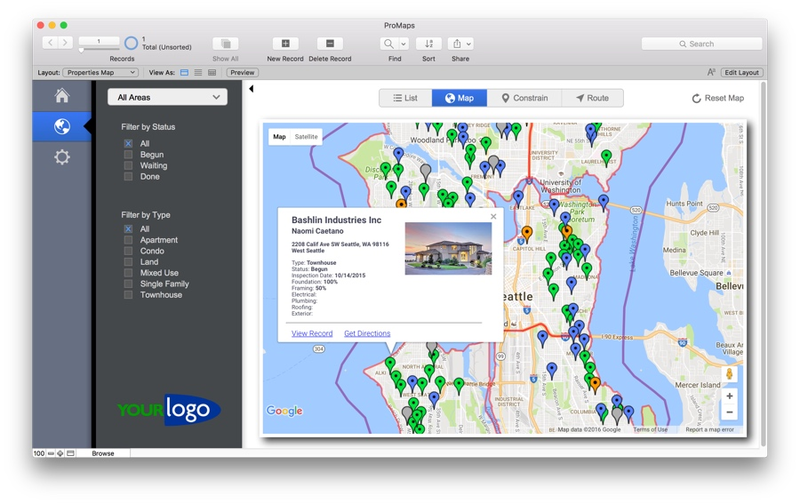 ProMaps is a bolt on map view for your FileMaker Pro and FileMaker Go solutions. It is an unlocked template for rendering addresses from your FileMaker table on an interactive Google map. The latest build of ProMaps is 1.054 (September 28, 2018). Version History. These docs are for version 1.05 and higher. Documentation for earlier versions of ProMaps (along with the older GoMaps version) can be found here. Visit the ProMaps site to learn more, download a demo, or purchase ProMaps.